Paul Nelson, a man with a rangy advertising portfolio filled to the brim with dynamic and vivacious photos, started a quest to renew his passion for his art at a time when his industry revved down. Charmed by the majesty and detail of birds, Nelson started collaboration with the Carpenter St. Croix Valley Nature Center in order to film them in flight. Paul Nelson, a man with a rangy advertising portfolio filled to the brim with dynamic and vivacious photos, started a quest to renew his passion for his art at a time when his industry revved down. 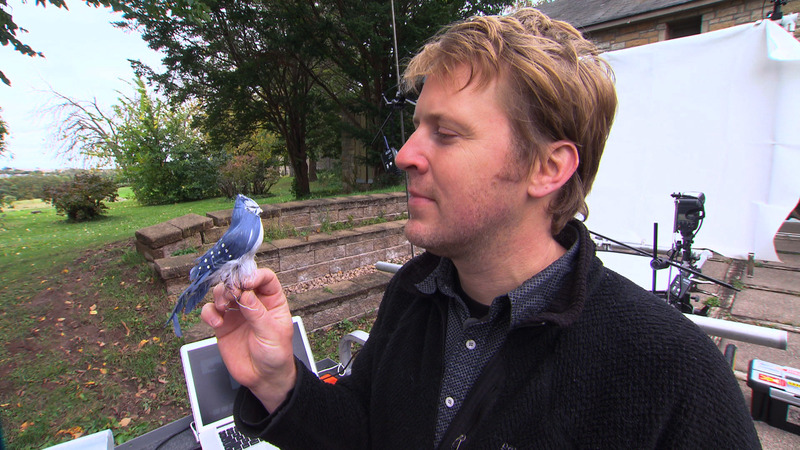 Charmed by the majesty and detail of birds, Nelson started collaboration with the Carpenter St. Croix Valley Nature Center in order to film them in flight. As the birds are safely trapped and banded for tracking, Nelson utilizes an infrared enhanced flash and a runway control to capture the moment of their release back into the wild. Nelson controls what he can, applying his crisp, clean ad world flair, but he also knows to allow himself the joys and surprises that invariably accompany the birds taking flight. Charmed by the majesty and detail of birds, Paul Nelson photographs birds in flight.